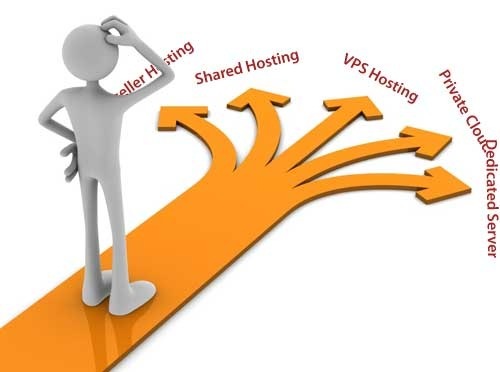 Business hosting web sites play an increasingly critical role in the success of companies these days since more and more customers are looking for information online. Consumers are increasingly using smart phones and tablets to browse the internet and search for information. They are looking for information about products and services, they are making purchases and they are communicating with their friends as well as the companies they deal with online. Some companies are doing more business online than through walk ins. Others are driving more and more business to their walk in stores driven by the information that is available online. If you just build a web site and then forget about it, the content will get stale and your returning customers will not find anything new to review. When customers return and they find new content, updated content, new services and products, they will tend to book mark your site and return again and again. We find that the best web sites institute a program to review all of their old content on a regular basis. They may find that they need to tweak the content here and there to correct information about products or services and they may also be revising their policies from time to time. Use a sorting program to always update the older pages so that they remain fresh and current on your business website. Adding new content is important as well. New content shows readers that there will always be something to read about that they have not seen before. If you are selling product or services, then adding new content that describes the products and services from a different perspective can also be helpful. Prospective customers may not have considered the ideas and thoughts that are discussed in the new content. Search engines will also notice and return time and again to index the new pages on your business hosting website. They will pick up any changes that have been made. The search engines recognize fresh content and updated content. They will rank your site somewhat higher in the results of searches. A higher ranking means that your web site may appear in the first or second page of the search results. There is a better chance of being visited by someone looking for your topic, services or product. There is no use having a great website if no one can find you. If you are low down on the search results there will be little traffic. It is a competitive environment. Business owners know they have to work at gaining the traffic, visits to their website and conversions into paying customers. This is part of the new advertising media that all companies need to adopt. 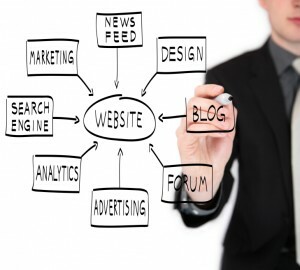 There are lots of things to consider when developing a web site for small business. Aside from the overall design, hosting, domain name and registration there’s also the content that should be included on the website. We have tackled a number of these issues on other posts on this website. One thing that most people, business owners and website developers forget is security! This is an important aspect of all web sites for small business as well as personal web sites. If you do not pay attention to this issue, you will be hacked. It starts with having a secure password that is not easily figured out. Hackers can gain access to your website through many different means. They may come in through the back door through your hosting company. 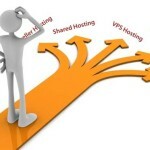 The situation develops when they gain access to the server that your site is hosted on. They come through someone else’s site and then are able to infect your files. Another approach is to provide comments on some of your pages. They come with links to malware, phishing sites and pages that contain code that will infect your website. Always be careful about comments that you approve and review all links before approving them. Poor password policies can also allow hackers to gain access. If your password is not a strong password you may find your site compromised. A password should consist of letters and numbers as well as symbols, some capital letters and lowercase letters. If not then your site may be accessible to hackers. Some people will use really simple passwords which allow hackers to gain access quite easily. Use a password design tool to pick one that is considered strong and difficult to break. If you have a number of people accessing your site to perform various functions they will all need a password to gain access. Password management is critical in situations like this. Frequent changes in passwords, security of passwords and avoiding sending passwords by email are factors that can help you with security for your business website. In summary, protect your website, your passwords and IDs for your website like it was your bank account. You don’t give that information out easily and don’t give out your passwords for access to your website easily either. One hacker even tried to guest post on one of our sites with hidden malware in the guest post. Fortunately we caught it before it was posted to our website and did any damage. Always be on guard and use virus detection programs to check all of your software on your website and the pages that are posted on your Business website. Among all of the other things that you need to do on your web site pay a lot of attention to web site security. 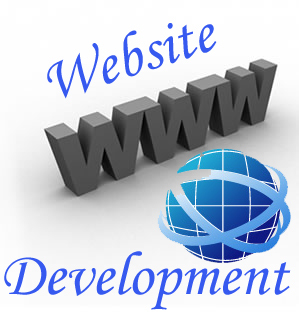 A small business web site must have several basic elements to be successful in terms of meeting customer needs. Also web for Small Business to be found by the search engines. We will discuss these two aspects in this post. We also describe why business owners who are focused on developing, building and running their business need to care about a web site for their company. To begin with a company website should describe the company. The services or products offered by the company and how to contact the company should be covered. It is a way to communicate to readers who they are and what they do. This is basic information that tells the reader who you are and what you are about. It should be easy to navigate and customers should have no problem understanding what you are offering. Once you have described your company, the next part is even more important. It is one of the reasons we are writing pages such as this one. We want the search engines to find us and index us in a manner that allows customers to find us. The same is true for your company’s web site. Business owners need to invest in basic Search Engine Optimized material. This will tell the search engines such as Google and Yahoo as well as Bing that you are available and what your company does. They will index your site and present the results to consumers who search for your products and services. If you end up on page 50 or page 1000 of the results, customers will never find you and you will not receive traffic to your web site and no opportunity to convert them to paying customers. Basically you need a page for each of the possible search terms that might be used to find products or services that your company provides. That is one of the reasons we are issuing new pages every week or so that talk about web sites for small businesses. It is really a page of advertising about what your company will offer to customers. 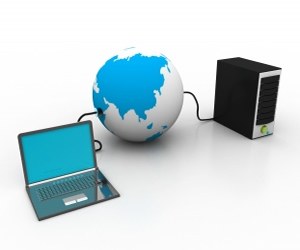 We provide web site hosting, web site construction and maintenance for small business owners. You can find out more details about what we offer on our pages along the right hand side. They cover services as well as prices. There is also an option where we host and build the web site, then open it up for our customers to add their own content. This is an opportunity for the small business to tightly manage editorial control while at the same time keeping costs under control. For more information give us a call or email us for details. Many business owners plan to set up a small business website. They want to provide information for their customers. In addition it is one of the best ways to advertise and be competitive. There is actually a great deal to consider before designing a site. They should first think about what their objectives are for their website. It is important to understand why your website is being started. Some want to provide better information to their customers. In addition to advertise products and services. Will it allow customers to make purchases online? There is a significant difference between an information site and a monetized site. One site is not interactive. While the other can take orders from customers and process them. As a result this is a much higher level of functionality to consider. You also need trained support personnel to handle all of the back office processes. An information small-business site will provide basic information about the business. It will cover who the principles are, contact information etc. Include a list of your products and services. If customers wish to purchase any of these services and products they must contact you. Remember to make contacting you easy for them and be responsive. They can do this by sending an e-mail. Or they can talk to you over the phone or visit your business. This is really just a traditional advertising site that happens to be online. A small business site that accepts orders is a much more complex site. This may include processing credit card payments or PayPal payments. It must have better information, cash processing information and order placement. Status update is also typically provided. Privacy of customers personal information must also be addressed. Set up an information site quite quickly. Update the content and add new content as time permits. The small-business site can process and manage cash transactions which will take time to develop . They are generally more expensive. Also they require more maintenance on an ongoing basis. We’re not trying to dissuade you from setting up one of these sites. Always take into account your expectations, objectives etc. With the advent of PayPal and cash transaction terminals, basic cash management can be added to the site. Note that the back-end process of fulfilling the order is a separate process. This includes excepting the order, preparing the product, packing and shipping. Finally you must be able to send invoices for the product. We specialize in providing small business websites that are informational in nature. They include contact capabilities provided on the website. You can provide a phone number, a contact form or allowing customers to send e-mails to you. Use a content management system. This provides the option to the business owner to prepare and update their own content. It is quite straightforward and easy to use. Owners just need to figure out what content they want to provide. Search engine optimization is provided. Search engines will index your site. Your site will rank higher. This is aimed at customers who are searching for particular products and services that your company provides. For more information about our services, please contact us by phone or e-mail or using our contact form. We will be happy to respond to your request. We provide domain management, hosting services and content management services. What are the Basics of a Web Site? First step is the domain name, secondly you must have a place to host your content, and finally a program to manage your content is required. The domain name is the URL listed in your browser and can be a registered name of your company provided the URL is not already taken. The domain name will point to the location where you are hosting your content. This is the name of a hosting site such as Go Daddy and others who provide servers to host websites. Now that you have a domain name, hosting site, business leaders need a program to help them manage the content so that they can focus on content instead of the HTML programming that makes the website operate. The technical content management program we use is WordPress, which is the content management program that we are using in this particular site. It comes with many themes, plug-ins and capabilities that you can use to enhance the interaction with your customers. The content management system helps you manage the pages that describe your company and the services or products that you offer, and regular posts about various topics that may be of interest to your customers.’ Included in the sales plan, products that have been added to the inventory and so on. Business owners can also decide if they want to allow comments from customers and for people browsing their site. They can add pictures and video services whenever they wish. Many people will improve their site by adding short videos that are also on YouTube. The content management system will help you manage all of this content. It will help to ensure that it is organized. Also presented in an appropriate manner for anyone visiting your website. Will the Search Engines Find Your Site? Many people will launch a new website. They they sit back and wonder were are all of the people browsing the content. Why are they not visiting my site? You cannot get much traffic and cannot understand why the website that you spent a lot of money on is not generating visitors to the site. Where is the increase in sales generated as a result of having a website. The bottom line is that search engines have to find your site. They have to index your site for search terms that people typically use when looking for the kinds of products that you offer. For example if you run a pool company then you probably want to have lots of posts about pools you sell, installation, maintenance and repairs to pools. If you do not have this kind of information on your website chances are it will never be found. What do They Mean Search Engine Optimization? They are all types of theories about what it means to be search engine optimized. Google, Bing and Yahoo use many measures to make a decision. Which content to be offered to someone who’s doing a search using the search engine. These factors determine whether your site is on the first page or the 1000th page of a search. You can try to game the search process. However experience has shown the best approach is to have a well organized site. Use lots of original effective content that describes your company, the services and products you offer. Include anything else that the customer may need specific to your business. This is by far the best way to get a decent ranking with Google. Web Development Services – How Can I Get Started? Give us a call or send us an e-mail with what your needs are. We can get you going quite quickly with a basic website. We provide you with information about how to become search engine optimized so that the search engines will find your content. 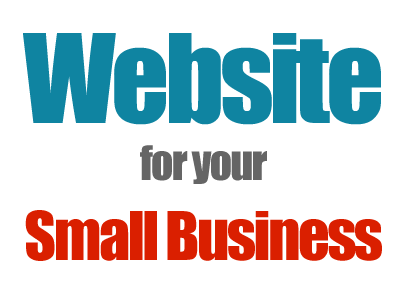 Most small business customers are looking for a basic web site. It should come across in a professional manner without having to spend a lot of money to develop it. They want something they can link their customers to. They want an URL that they can show on their business cards. A site that they can easily update from time to time. They may or may not link into the social side of the internet with twitter and Facebook. That is ok, it can come later once they see the value of these sites. A professionally design site may look great, be a nice clean site providing all of the basic information, but it may not be easily found unless your customers have the exact address to type into their browsers. You really want to make sure the site can be found. Without adequate search engine indexing and advertising your site will not be easily found by any new customers. Online advertising is one method to use. Google for example provides a service that a web site owner can use to advertise their site on other customers web sites. It is called Google AdWords and works very well. However there is a cost to it based on the number of times your advertisement is clicked on. It is best to set up a monthly budget for advertising if you plan to use this approach to ensure that your costs are kept to a reasonable level. Search engine optimization or SEO also works. This page is an example of what is needed to increase the indexing of a site, in this case our site. Google and Yahoo as well as Bing use various algorithms to figure out what information to display. Always have great original content that provides information to the searcher in the area they are looking for. The search engines will rank your site higher. They will show your information on the first page of search results. If you are down on the 50th page, you will never be seen and no one will come to your site. Social networking such as twitter and Facebook pages and tweets can be set up to increase your company’s exposure. A company’s web site can obviously go far beyond the basic 5 page web site that provides contact information, where to find you, the services offered etc. however if you are looking to get started with a basic web site which can evolve to something more complex later on, contact us via our contact page for more information. Click here.